The ponderous pundit and pluperfectly plump prima donna of crime detection at it again. 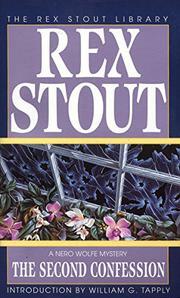 Nero Wolfe and sharp tongued Archie head into Communism to satisfy a wealthy client's desire to protect his daughter, head-on into murder, the wrecking of Wolfe's greenhouse and further threats from the omniscient Mr. Zeck. Wolfe assembles and reassembles his facts -- and figures -- and stages a stratagem -- with the help of the heads of the Party- to extract the truth. As before -- showmanship and saleability.